The rising value of its SoftBank Vision Fund, an investment arm created in 2016 with money from Saudi Arabia's sovereign wealth fund and other sources, also gave the company a boost. As is customary, SoftBank did not disclose forecasts for the year to March 2019. Led by flamboyant founder Masayoshi Son, SoftBank has embarked on a string of international acquisitions large and small in recent years. 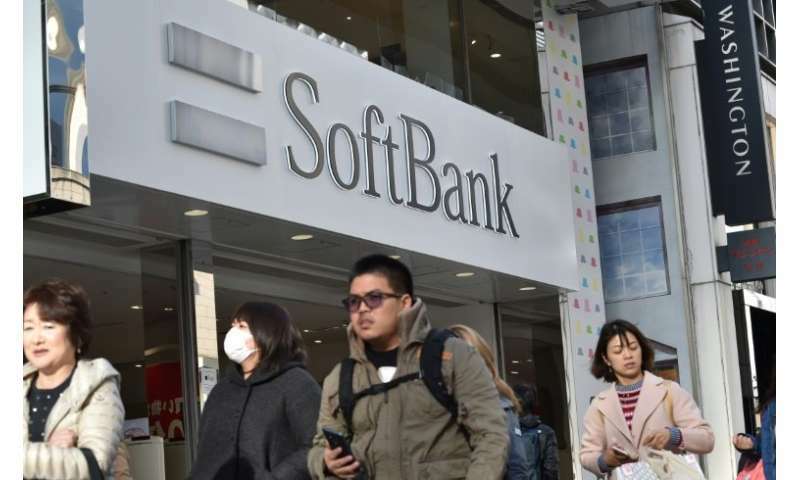 Last week, SoftBank's Sprint and US rival T-mobile announced that they would merge to form a new company and push development of a super-fast 5G network. T-Mobile, a division of Germany's Deutsche Telekom, and Sprint are currently the third and fourth largest US wireless operators, respectively. They held talks in 2014 on a merger, but ended discussions in the face of opposition from US regulators, with some investors concerned that regulatory objections could once again stymie the deal. Elsewhere, SoftBank is in talks to take a stake in Swiss reinsurance giant Swiss Re, and last month said it would partner with Saudi Arabia to develop a massive, multi-billion-dollar solar project in the kingdom through the Vision Fund. In Tokyo, SoftBank shares ended up 0.78 percent at 8,555 yen before the results were announced.